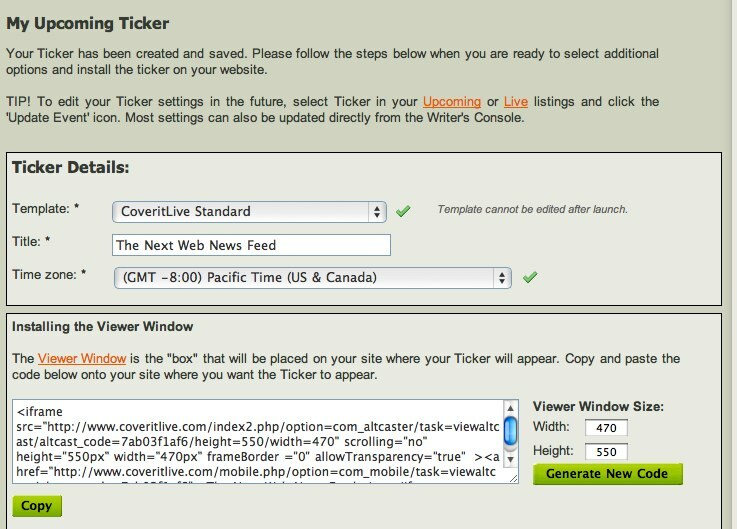 Live blogging took a huge leap forward when CoverItLive came out a few years ago. If you wanted to live blog an event you went from having to post and update and update and update to embedding an iframe in your post that would just update as you wrote. Readers could just follow along with you as you covered your topic. The thing with CiL events, however, was that they were of finite duration. You couldn’t really have an even that just ran and ran. But what if you’re a news site like Skynews and you want to have updates coming from Twitter, posts, and other places just keep going? That didn’t work terribly well. Sure there are widgets for Twitter, posts, Flickr, etc … but they are single purpose tools. You have a Flickr widget and that’s all it is. You can’t interrupt it with breaking news. 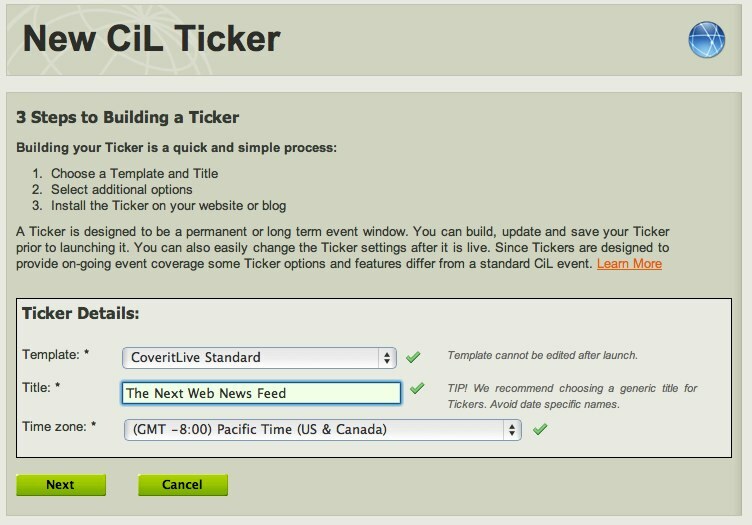 CiL decided that maybe there might be a time to have a ticker that could run with just “regular content” (say Twitter or Flickr), but then also be “interrupted” if you wanted to jump in and cover a breaking news item. So I bring you the CiL News Ticker. The ticker mode runs just like any other CiL event, it just never ends so you can have it be fed with new content all the time and interrupt it with something special. Like other CiL events readers can comment on items and these appear in the stream. You can see an example here in this post where I have the main TNW twitter stream and the TNW Canada Twitter stream being pulled in. If there is some breaking news, I could hop over to CiL, launch the Ticker panel and post an update. While I’m a big fan of CiL in general, and I do like this new ticker feature, the whole iframe thing is a bit of a drag I think. However, CiL is still offering free accounts while ScribbleLive is opting more for paid accounts so if you want a fast and easy live blogging option, CiL is something great to try. As for the ticker, I like how Skynews is using it and I’d like to see more implementations of news like this. Could it catch on? Perhaps. Where would it work best? Sidebar? Homepage? Would you like of have that page open to follow news or is a just glance and go kind of thing? 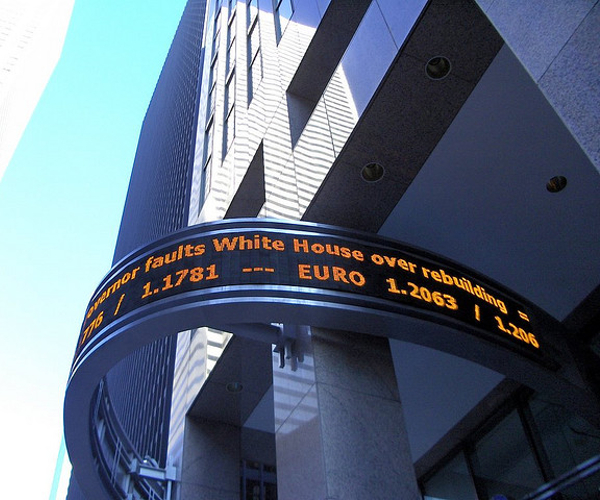 Read next: Microsoft acquisition rumors drive Adobe stock way up - could Google make a play too?